This Saturday we sample more poetry, fiction, and non-fiction from the dynamic and ever-changing literary scene in Newfoundland and Labrador. In the second of two shows recorded at the 2013 Sparks Literary Festival in St. John’s, we hear from Joan Sullivan, Gerard Collins, and Eva Crocker. They’re joined by special guest Carmine Starnino, one of Canada’s renowned poets. 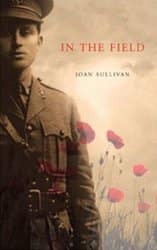 Joan Sullivan is the author of In The Field, published by Breakwater Books. It tells the story of Stephen Norris, a volunteer with the Newfoundland Regiment in World War One, and the lasting impact the war had on his family and community. Gerard Collins is the award-winning author of a short story collection, Moonlight Sketches, and a novel, Finton Moon. Both books are set in the fictional town of Darwin, Newfoundland. 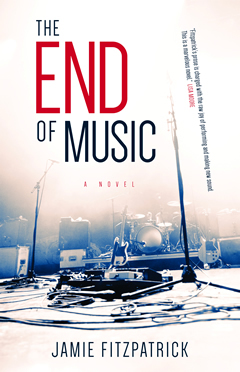 Eva Crocker is part of the new generation of Newfoundland writers. Currently a student at Memorial University, she has been writing acclaimed fiction and poetry. Carmine Starnino is a poet, essayist, and critic in Montreal. He’s a past winner of the Canadian Authors’ Association Prize for Poetry and the David McKeen Award for Poetry. His latest book is Lazy Bastardism.